Hamlet or The Tragedy of Hamlet, Prince of Denmark, is a Shakespeare tragedy written in the background of the Danish empire. This is the biggest tragedy drama by Shakespeare. This is one of the most traditional and popular tale in English literature that other authors have in their own writings. Hamlet is the most successful and popular tragedy drama in Shakespeare's life. Most probably, this tragedy was inspired by a fairytale called 'Emlett'. 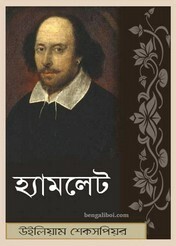 Now I want to share a remarkable drama book of this author- 'Hamlet by William Shakespeare Bangla' in pdf file.